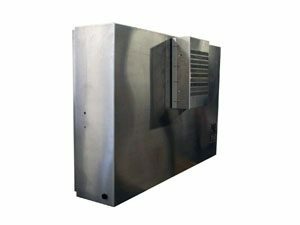 A user of the Model AHP-6250 Solid-State Air Conditioner gives a wonderful example of the benefit of TECA’s newly introduced line of high-capacity thermoelectric air conditioners. 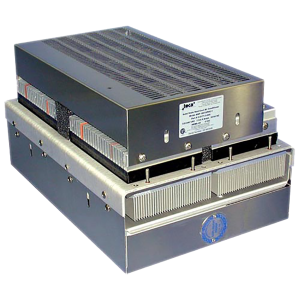 Designed to cool larger enclosures than was previously practical with thermoelectric technology, the AHP-6250 is one of the largest models in this group. 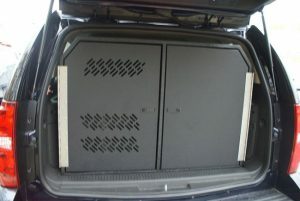 For example, the enclosure pictured here is about 8 x 6 x 3 feet. The customer is able to achieve large enclosure cooling with a single thermoelectric air conditioner. 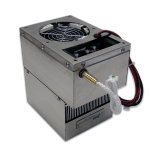 Thermoelectric cooling is reliable and maintenance free. 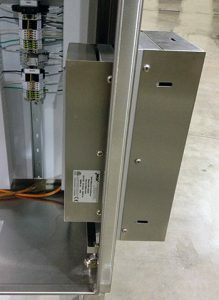 TECA’s new high-capacity line has some thoughtful design features, as seen pictured here on the installed AHP-6250. 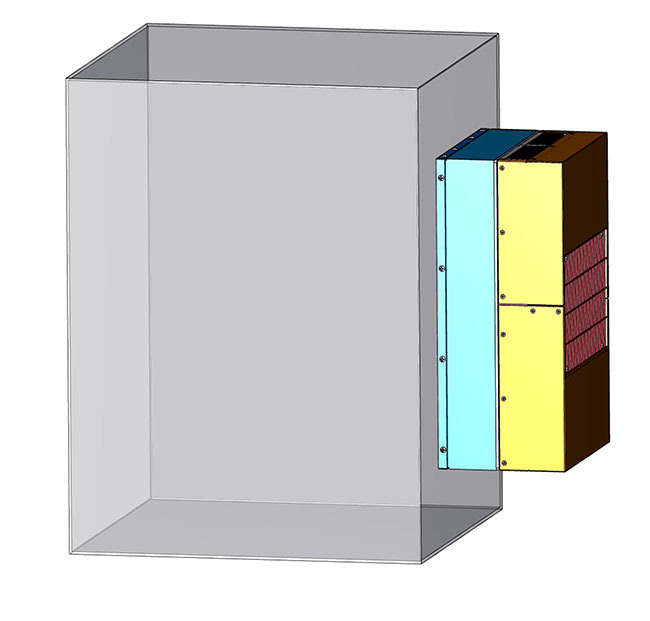 The cold side (internal to enclosure) has a low profile, which translates into less intrusion into the enclosure, giving the user more room for whatever the enclosure is meant to hold. 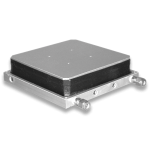 The robust mounting flange, gasket and hardware and centrally located power input contribute to user-friendly installation. 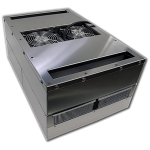 Finally, high air-flow fans and high fin-density heat sinks on the cold side maximize performance and minimize condensation. 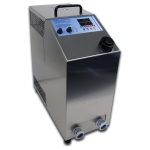 An integral condensate removal system absorbs condensation and transports it to the hot side, where it gets evaporated into the ambient. 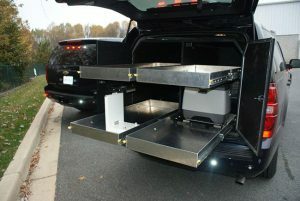 A customer designs and installs custom systems for public safety vehicles. 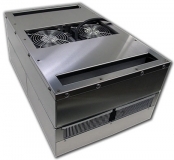 TECA’s AHP-1800-Series Air Conditioner was the perfect fit for keeping medicine cool in transport and in the field. 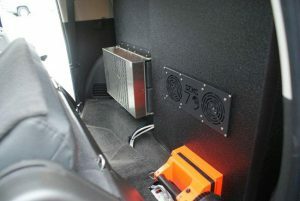 With multiple input voltage and environment configurations available, the customer will be using more TECA air conditioners in other vehicles. The tight mounting space shown in these photos illustrates the value of thermoelectric air conditioners. 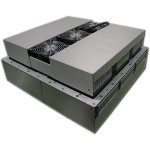 There are no filters to change, no chemical coolants and there are no moving parts except the fans. 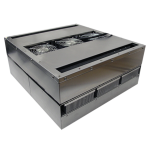 The customer can expect years upon years of service from this unit, virtually maintenance free! 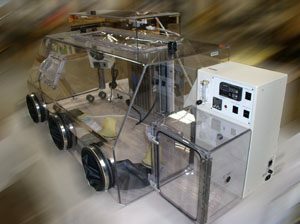 A customer manufactures a range of glove box systems for atmosphere control applications in clinical and industrial environments. 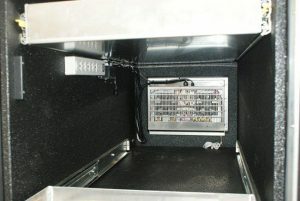 TECA air conditioners are a vital component on a variety of the glove box models that this customer produces. 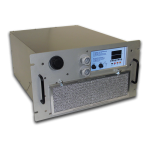 Standard and customized versions of TECA air conditioners from the AHP-1800 Series are used to control the glove box temperature to below ambient. 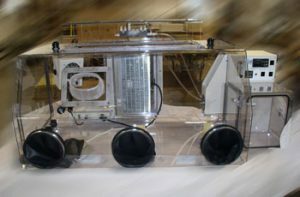 Clinical applications primarily revolve around cell and bacterial studies within cancer research, bio-fuels studies, sleep apnea, anaerobic microbiology research and clinical applications etc. 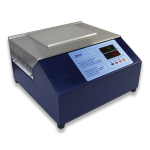 Industrial applications include product weighing or assembly with humidity and temperature maintenance. 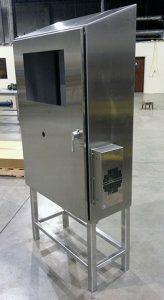 Our customer manufactures various machinery and appliances for the beverage industry. 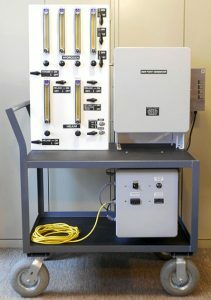 One such system of theirs requires high performance and precision, achieved by using specially designed software and test & measurement equipment. 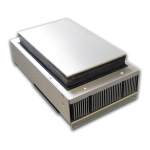 TECA’s thermoelectric air conditioner, the AHP-1200XE with built in temperature controller, is an important part of this system. 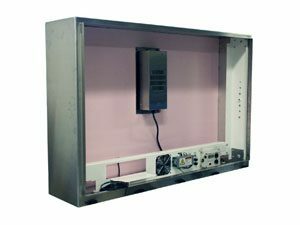 The customer uses TECA’s AHP-1200XE to reliably cool an enclosure housing a computer and touchscreen. 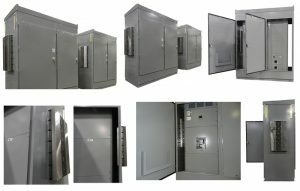 The customer has depended on dozens of AHP-1200XE air conditioners over the years for use in their system. 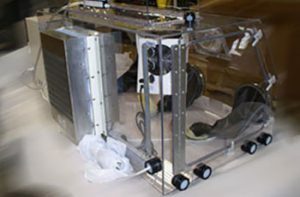 Incubators used in the rearing of insects for research often experience thermal failures due to the acids inherent in the biology of the insects. 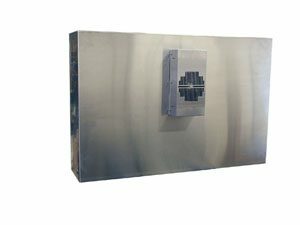 The acidic environment that insects create can quickly corrode a standard, compressor-based cooling system- even if its copper coils are coated. 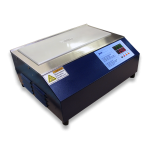 High humidity adds to the problem because droplets of concentrated acid will collect on the cooling components. 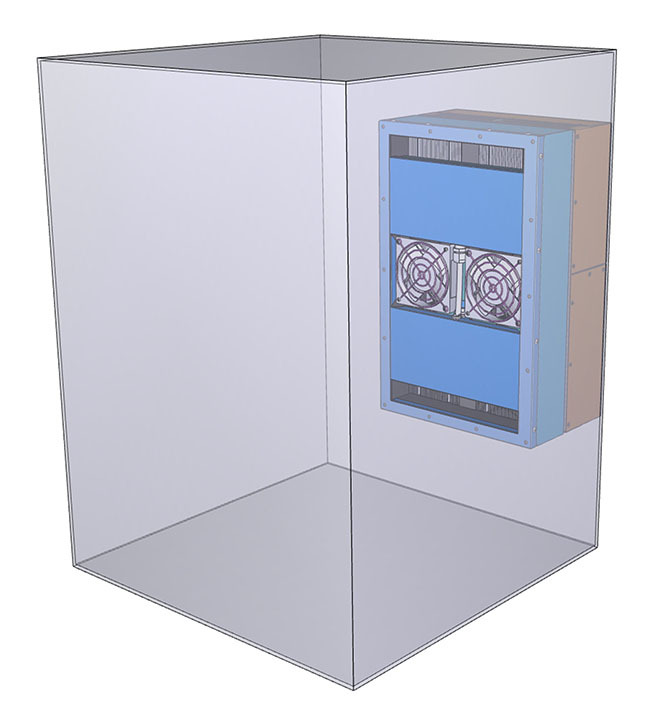 The solid-state nature of TECA’s thermoelectric air conditioners solves the problem offering reliability and virtually maintenance-free operation. 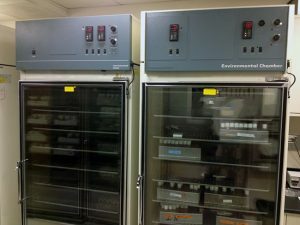 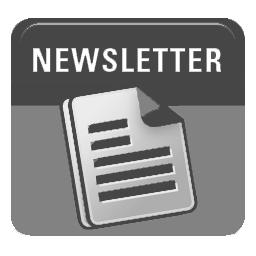 A published life science researcher from a local university contacted us because he experienced several failures from his compressor-based air conditioner units. 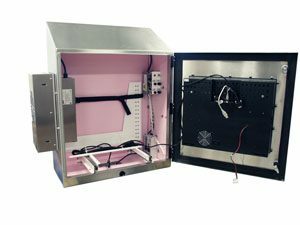 He is raising flies in an incubator, and requires an accurate set point. 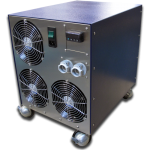 The TECA Model AHP-1200 Thermoelectric Air Conditioner is the perfect solution. 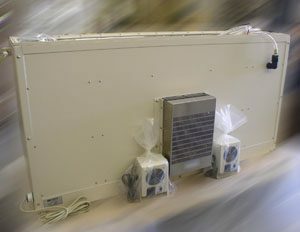 The air conditioner keeps the incubator to 18C as the customer requested. 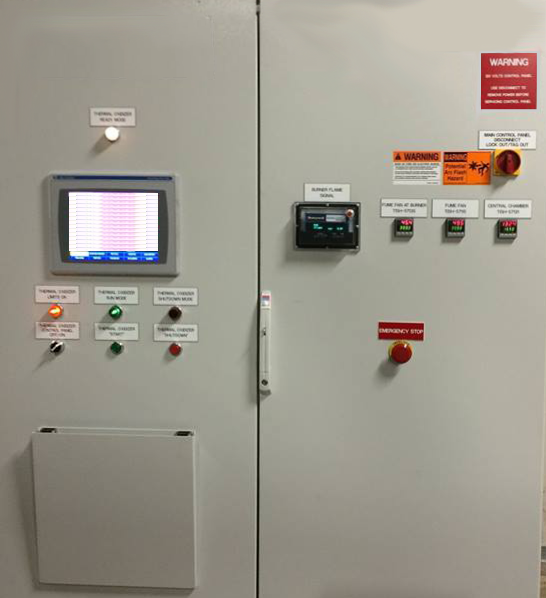 Using a remote, programmable temperature controller (TECA Model TC-3400) the customer is getting the accuracy he needs and the convenience he wanted from a remote controller.